At the age of just 30, striker Joaquín Larrivey decided to leave the sunny Balaidos for the even sunnier Abu Dhabi, joining Baniyas. Sorry, not "decided". "Decided" is a strong word. "Decided" means that the player had one or more options and picked one without coercion. "Decided" means that the player had a fair choice. Joaquin loves new challenges. While playing for Cagliari, he scored a hat-trick against Napoli, got on the European radar and then disappeared off it just as quickly by signing with Mexican Liga MX club Atlante. After scoring 12 goals for Celta Vigo in the 2014-15 season, Joaquín Larrivey was set for his next adventure. He had two years on his contract remaining, but clubs were willing to pay and Celta were willing to sell. Moreover, his playing style was much more similar with the stereotypical "English striker" - a hardworking, physical, opportunistic poacher who capitalizes amazingly well on sloppy positioning and is excellent in the air. Norwich City paid the 2 million euros required, and Larri booked his tickets. Terms were agreed, the medical passed, the player liaison Phil Lythgoe had given the player the customary club tour too. And then, giving no reason at all, Norwich City called the deal off. Daniel Dos Reis, his representative, was fuming: “There has not been any problem that may have lead to this. Nor has there been any change in the numbers of the operation. Larrivey went back to Balaidos, only to find that his replacement had already been signed - John Guidetti. And so Larrivey desperately looked for a club - all while Dos Reis and Celta reported Norwich to FIFA. 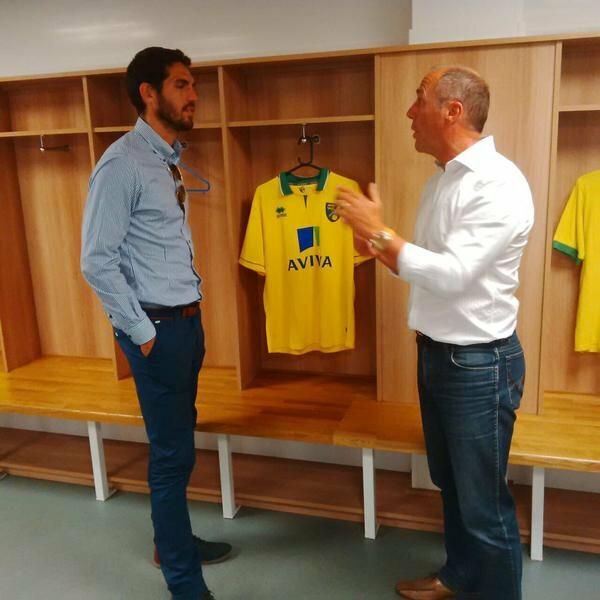 The problem was, the clubs that wanted him - such as Al Wasl in Dubai - had been rejected when he went to Norwich. Alex Neil later took responsibility: "Yes, he came over, I met him and decided it wasn't for us. Simple as that...This decision, based on him not joining us, had no bearing on any other strikers we might be looking at. I just decided not to pursue it." But he had taken responsibility for the botched transfer. What about the botched career of a 30-year-old late bloomer with still a few seasons left in him? What about the fact that he was led to believe he was wanted by the manager, when clearly the club's board had sealed the transfer beforehand? They won't, and will never take responsibility for that. They don't care - they think it was a business transaction that didn't work out. They don't care that Larri had to settle for the United Arab Emirates in the end. They don't care that it was to a club who are minnows in their own city, whose finances would deem them relegation candidates year-on-year, whose stadium capacity is just 9,500 and whose trophy cabinet is largely unimpressive. They don't understand their own consequences.